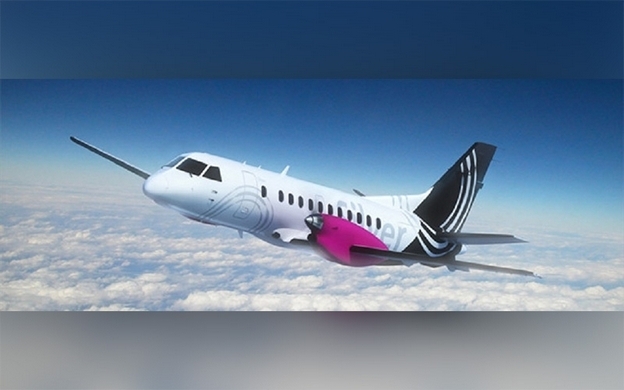 TRENTON — The U.S. Department of Transportation has chosen Silver Airways to serve as seasonal carrier for the Hancock County-Bar Harbor Airport starting July 1 through Sept. 7, 2020. Airport Manager Brad Madeira said service to and from Boston’s Logan International Airport would be provided in Saab SF-340 B twin engine turboprop aircraft. Those planes are able to carry 34 passengers in comfort on the short flight to and from Logan, Madeira said. Passengers will be able to connect on Silver’s partner airlines to fly nonstop from Boston to over 75 destinations across the United States and around the globe. Madeira said this will make Bar Harbor and the Downeast area of Maine more accessible than ever for the community and for summer visitors. “Silver plans to offer very competitive fares making flying into and out of the Bar Harbor Airport convenient and cost-effective,” Madeira said. Parking continues to be free at BHB. Reservations on all Silver flights to and from Boston will soon be available on the airline’s website at www.silverairways.com. Passengers traveling through the airport currently have several air carrier options, as Cape Air (www.capeair.com) continues to provide year-round service. PenAir (www.penair.com) provides seasonal service to Boston Logan Airport (also using Saab 34 seat turboprop aircraft) and will resume on May 25 and continue through June 30, just prior to Silver Airways inaugural flight on July 1. PenAir has advised that any customers who purchased reservations for travel to or from BHB for travel dates after June 30 will receive full refunds and those passengers will soon be able to rebook their reservations on Silver Airways flights. Those passengers may contact PenAir reservations by calling (800) 448-4226 to request a refund.